just up the pike: the velveteen giraffe: a happy ending? the velveteen giraffe: a happy ending? Last August, a pair of townhouses on Featherwood Street in Fairland caught fire, injuring three firefighters. 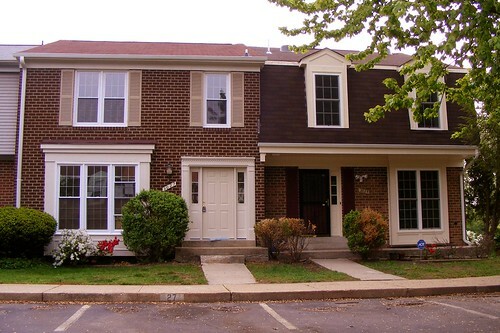 It also left two families homeless. 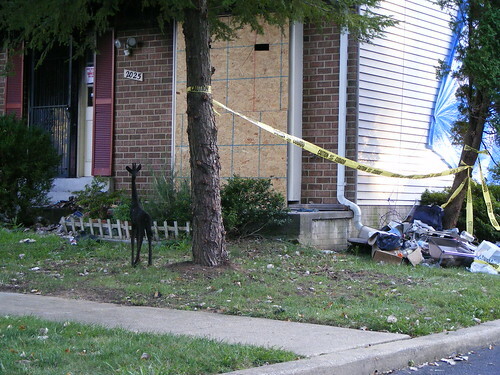 Two weeks after the fire, their belongings still sat in the yard, including a three-foot-tall toy giraffe. Eight months later, however, this story finally has a happy ending. Stopping by Featherwood Street last weekend, I noticed both houses had been completely renovated. They now appear as if nothing had happened. I'm glad that their owners can go home again. I don't see the giraffe, though. They are lucky it only took eight months. I hope that they are all doing okay after this awful thing happened to them.